Powered by a rotary vane air motor suitable for use in hazardous environments. 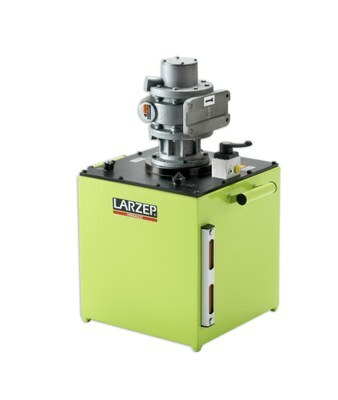 Equipped with manual valve easy to convert from double to single acting operation. Internal safety valve set at 700 bar to prevent over-pressure. Roll bar and wheel kits available as options on request. * Flow at 100 bar.